Move your team from talk to awareness to action. Exceptional Teams are built through effective communication, with clear boundaries and in a supportive environment. Those same qualities define an equine herd. That doesn’t say a herd is without challenge, but it is the cohesive nature of the herd that is integral to their survival. 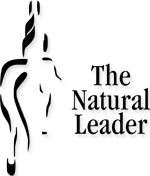 The Natural Leader team building activities are based on an in-depth knowledge of how horses work. Understanding horses and how they think, interact and learn is our business. Helping you see the relevance of that connection through an activity with a horse, is what will help you build a team that truly can become exceptional. Jumpstart the process of developing strategies to Create Exceptional Teams through hands-on interactive group learning with a partner who won’t miss a thing. The program will provide your team a whole different perspective on what it means to be a good leader or a great follower, with a view to becoming an exceptional team. Exceptional teams are aware of the impact they have on others in support of the common end goal. Theoretical discussion becomes a series of tasks with a horse partner that the team must work through together. The hands-on activities with a horse bring to light the importance that relationship holds in the success factor of a team. Emotional Intelligence; Patrick Lencioni’s The Five Dysfunctions of a Team; Susan Scott‘s – Fierce Conversations are a few of the well know works we build our programs on.